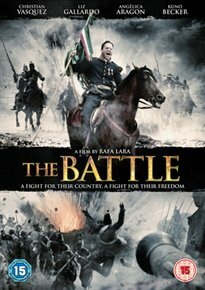 Mexican war film inspired by the 1862 Battle of Puebla in which vastly outnumbered Mexican forces fought to defend the city of Puebla from the invading French army. In 1861, French, Spanish and British forces landed in Mexico with the stated aim of reclaiming debts owed to them following the turmoil of the Mexican Civil War. However, it quickly became clear that France, in particular, had more sinister motives. By the time the French forces arrived outside Puebla it was clear to the Mexicans that they were fighting for the very future of their nation. Could General Ignacio Zaragoza (Kuno Becker) and his bedraggled forces find a way to claim a memorable victory? In Spanish with English subtitles.